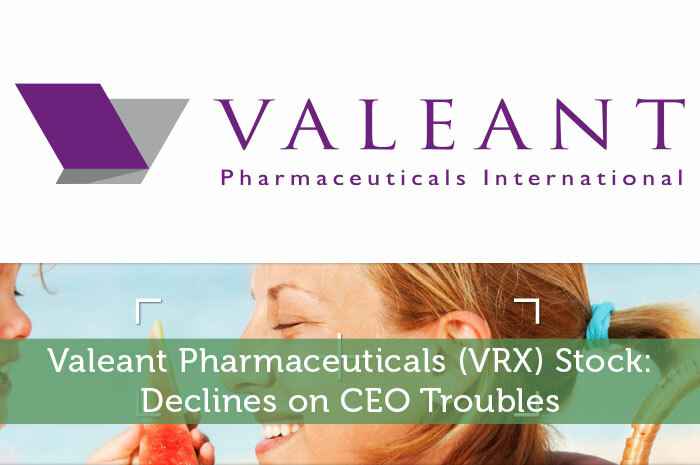 Valeant Pharmaceuticals has been on a bit of a roller coaster ride in the market as of late, and unfortunately, the roller coaster is currently pointing downward. After confirmation that J. Michael Pearson, the CEO and Chairman of the board at VRX is currently on medical leave, the stock plummeted in early trading today. Below, we’ll talk about the issues Pearson is currently facing, how the market reacted to the news, other pieces of news we’ve seen from VRX as of late and what we can expect to see from the stock moving forward. Unfortunately, any time we hear negative news with regard to a publicly traded company, we can expect to see a negative reaction in the market. That’s exactly what we’re seeing from VRX today. Currently (1:58), VRX is trading at $103.30 per share after a loss of 9.50% so far today. At this point, movement on VRX is a bit of a toss up. Recently, the company has come under fire as a result of its relationship with Philador. Some even went as far as calling the company the pharmaceutical version of Enron. As a result, the stock plummeted. However, recently, we’ve seen relatively good news out of the company. Most notably, Valeant recently entered into a deal with Walgreens that is all but guaranteed to lead to higher sales volume of both its prescription and over the counter drugs. While we are likely to see short term down trends as the result of the CEO leave of absence, I do believe that positive news surrounding the stock is coming soon. The reality is that the deal with Walgreens is likely to breath new life into this company. However, only time will tell how long that life will take to be seen in the value of the stock.